Genevo One Eco Genevo One Eco is an easy, reliable detector from the Genevo family, intended for users who are not technically skilled. No special settings are needed. In fact, it is also the cheapest working detector on the market right now. You cannot get a better radar and GPS detector for under 300€. 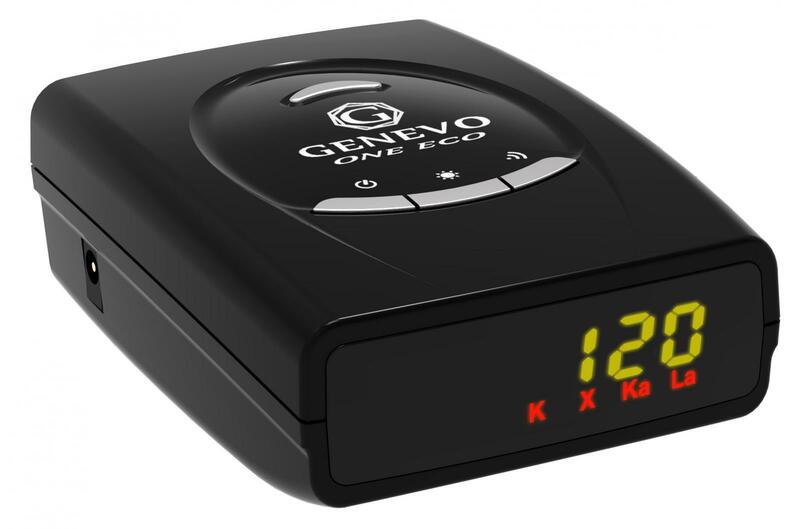 This detector is very similar to Genevo One, but some advanced features are missing. The GPS database, however, works perfectly. During the development, enormous emphasis was placed on optimizing radar performance, especially on the Ka narrow band, which is used by police across Europe, and on the functionality of reporting GPS points. Last but not least, Genevo One Eco is localized into most European languages.